We all look at style differently. The websites I am about to list – some of them caught my attention so much I thought to myself: How could I get my hands on that source code? Laravel is really beautiful, and after posting the Laravel resources post, I knew I would be creating this follow-up. It’s going to be exactly like the popular Django websites post I did. I’ll post a screenshot of the webpage, the URL and little bit of description. You can then check out each of the websites for yourself. I have tried to include a bit of variety, so it’s not just blogs only. Really nice looking stuff, I have to admit. Below you will find the website list which is built with Laravel PHP Framework. Deltanet is a destination management website that helps to manage tourist services, in Greece. You can really see Laravel playing its part in on this website, so smooth browsing. A full-on business website for loans has a mortgage calculator which shows the wide range of functionality that Laravel offers. It looks pretty awesome! Full scale online learning website for people in India. It goes to show how versatile Laravel can be. I really like the integrated functionality of MyRank, the design elements really flow together. Laravel tricks website built on Laravel, the way it should be! Really love the design and options panel for this one. Something I’d go for definitely. Simple, but does the job. Is a website, project to motivate people to do more walking, and who doesn’t like walking anyway? The site offers a ton of features for their smartphone app, so it’s worth checking it out if you want to improve your walking skills. Either way, the website looks really nice and has some unique features. Need inspiration, or simply want to look at some code? Laravel Snippets will help you out with that. A very lightweight website for sharing snippets with the community. Quite a few things you can learn there. Haha, how awesome is this? At Rocket Rubbers we are dedicated to providing you with the best possible service. Our aim is to provide the simplest and quickest to use online condom store with a hand-picked selection of very affordable Durex condoms. This is a personal blog of Mack, it’s pretty sleek and I love the sidebar and the way it organizes and puts the site together. All built with Laravel 4. 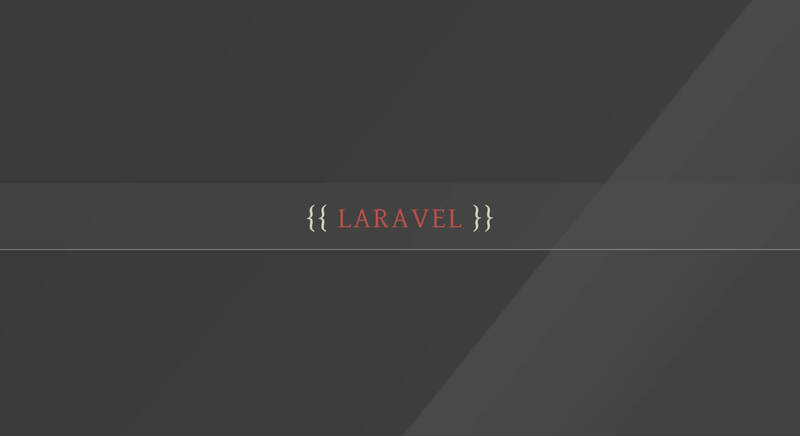 LaravelIO is highly-known forum community for Laravel developers, and the forum platform itself has been built using the Laravel framework. The signup module has been built in integration with GitHub, something worth knowing when it comes to building your own social apps, and speaking of those, check the next one out! Larasocial is a “lightweight” social networking platform built using Laravel. It’s an open-source project that’s built upon a rich code foundation, and as it is a social network, expect to find features such as send/decline friend requests, to be able to send messages between users (chatting), as well as private messaging and so much more. Code quality is great and should help any level Laravel coder to learn some new concepts. Are you a small business owner, a freelancer perhaps? We have written about freelance invoices in the past, but FusionInvoice would be a nice addition to anyone’s list of tools for managing a business. With FusionInvoice you can launch your own self-hosted invoicing platform that you can use to keep track of your monetary situation within your business, all within a beautiful interface that’s built on top of the Laravel foundation. What’s going on with your site? Is it slowing down? Is it down altogether? Why is it not functioning properly? These are the questions that your users will have running through their mind as they encounter errors with your website, and this Laravel built Cachet service will help you with solving that problem by enabling beautiful status pages that can be used to see what services are performing optimally, and which aren’t. Orchestra Platform is an admin panel that handles Laravel extensions and user management. Our curation of Laravel extensions provide the boilerplate for any web application development to ensure a speedy deployment using the best tools available on Laravel. Asgard CMS as you might guess is a CMS platform will be built the help of Laravel. Because the CMS itself is quite large and module populated, the best way to learn about it is going to be through the official homepage itself. If you want to see more websites built with Laravel, go to: Built With Laravel — the first published draft of this post was based mostly on sites that were found on this resource, but now, nearly more than two years later, a lot of the sites are custom found and listed in different order. It’s as exotic as I could possibly make it. There a little bit of variety from both worlds, but most importantly personal and business. Both of which where Laravel really excels. I cannot begin to tell you how much some of these sites related to my own personal web design views. Love ’em! The number of websites built with Laravel on this list has changed a lot since the first publication, and because it has been getting more tougher to find decent sites using the Laravel framework, we ask you, the community, to help us out and leave a comment with your own favorites so that we may expand this list beyond its limitations. Anyone noticed that all these sites are quite sluggish to load? not sure man, looks fine to me? That’s hardly an introduction. Explain in a few sentences what it is about and what’s the idea behind it? I hope this isn’t a production environment because i’m getting exception errors visiting this page.This is a gaping whole in your security. Make sure your env file has APP_DEBUG=false. yours is the greatest I’ve found out so far. However, what about the bottom line? It used to be a directory with all websites built with laravel. It was a great site. I believe it has been sold. Should be removed from the source. The newly launched and completely re-designed version of Hostelz.com is written in Laravel. It’s probably one of the larger sites to be written in Laravel up to this point (but I’m sure there will be many bigger Laravel sites over the upcoming years). Great post, Laravel is an awesome framework! I realise this post is quite old, but would you be interested in adding our open-source CMS Coaster. We recently released it and are looking for people to try it out. We recently released our own open source CMS built with Laravel called Coaster CMS. We developed an integrated physical web management dashboard for beacons along with a time based publishing system. Fusion invoice is most beautiful website made with Laravel. good list shared thanks.